Ariane Trifunovic Montemuro’s heartfelt intention and hope is that her work with The Fellowship of Saint Matrona the Blind, her iconography-inspired paintings and her book, “I Shall Remember Thy Holy Name from Generation to Generation,” will serve to inspire people to draw closer to God. She prays that anything she creates helps to kindle a flame of faith and love in people everywhere. 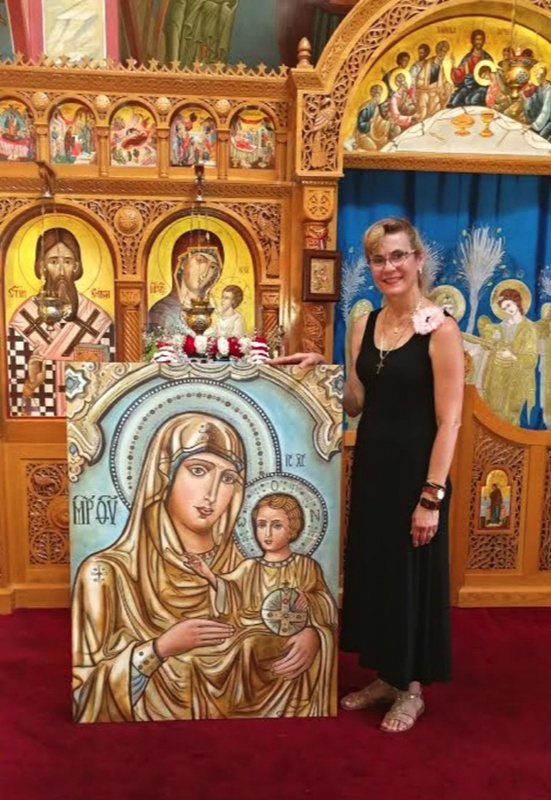 Ariane standing next to her painting of “The Theotokos of Jerusalem,” which is now residing at the Nativity of the Mother of God Serbian Orthodox Monastery, in New Carlisle, Indiana.